PETALING JAYA: Malaysia’s Department of Veterinary Services (DVS) has suspended the imports of beef and sheepmeat from three Australian suppliers due to halal issues. According to a source from DVS, it carried out an audit inspection in May. “The import from the three Australian suppliers have been suspended due to halal issues. The companies have the halal certification but during out latest audit, our Jakim auditor detected non-conforming findings that did not comply with Malaysia halal protocol. This lead to suspension,” the source told theSun. The Australia’s Department of Agriculture said Malaysia’s DVS had updated its website list of Australian meat establishments approved to export meat to Malaysia on Aug 18. 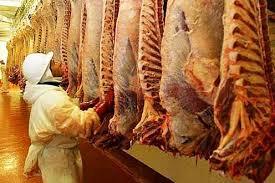 According to the list, three Australian export meat establishments were suspended. The suspensions were related to a review audit conducted in May. “The Department is working closely with DVS to address the issues identified at audit and, once Malaysia is satisfied, have the suspensions lifted,” Melbourne-based The Weekly Times quoted a spokesman of the Australia’s Department of Agriculture as saying today. The spokesman did not name the suspended companies, saying the “matters are commercially sensitive and when changes in listing occur in a particular market, the department works directly with the affected establishment and the regulator in the overseas market to achieve the earliest resolution possible”. The newspaper said one of the processors involved was Thomas Foods International (TFI) — one of Australia’s largest beef and sheepmeat exporters. Thomas Foods International chief operating officer David McKay told The Weekly Times that TFI did not yet fully understand the reason for the suspension. He added that TFI expected to have an opportunity to regain access to Malaysian markets in early October. “We can’t comment (on the cause of the suspension) until we see the final report (from Malaysian authorities) … but we understand Malaysia will be re-auditing in early October,” McKay said. Malaysia was the tenth largest destination, in terms of volume, for all Australian beef exports in the past 12 months to August.